Thailand has long been a destination for trafficking from surrounding countries, which has been exacerbated by its over-dependence on migrant labor. It is estimated by the International Organization for Migration (IOM) that there are currently 250,000 Cambodian migrants in Thailand, 130,000 of whom are undocumented, and 15,000 of whom are children. This is in addition to numerous Thais migrating to Bangkok from Northern Thailand, and children from the surrounding countries of Myanmar and Laos. 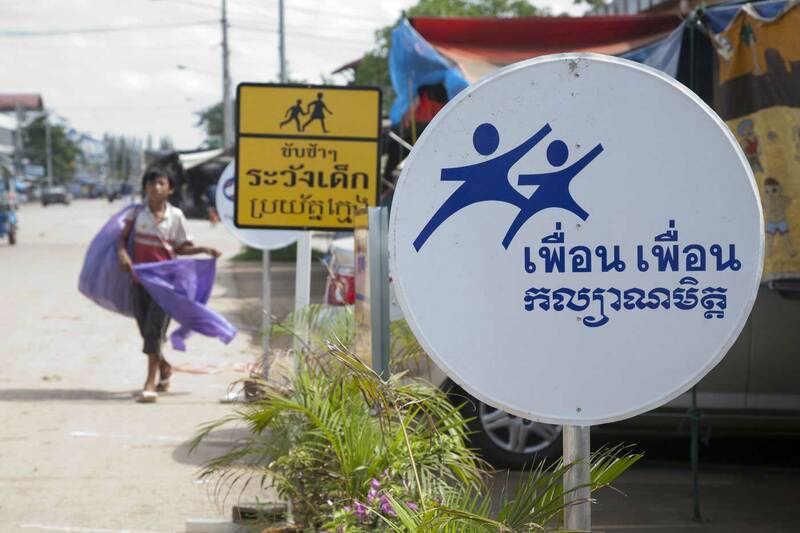 A social support program for children and families in Bangkok and at the Thai-Cambodia border, Peuan Peuan (“Friends” in Thai), addresses the obstacles of youth unemployment, unsafe migration, child abuse, and lack of access to services. In 2017, Peuan Peuan assisted 2,664 children, youth and caregivers. Peuan Peuan implements a program of mobile social support and comprehensive social reintegration services. The program works in Bangkok and on both sides of the Thai-Cambodia border (Aranyaprathet and Poipet). In Bangkok, Peuan Peuan conducts mobile services in four slum communities and 10 street areas. Recognizing that many marginalized children are also migrants, the program works to protect the rights of children in seven government transit and detention centers in Bangkok and with child migrants working along the border. Peuan Peuan coordinates between both locations and with partners in Cambodian and Thailand, to make sure separated children are safely reunited with their families. Peuan Peuan implements ChildSafe Agent training, awareness raising campaigns, and ChildSafe Hotlines in Bangkok and the Thai-Cambodia border. Since 2015, the program has also trained 1,350 Government staff in children’s shelters. In 2017, 420 children were directly protected through ChildSafe intervention.